A substantial number of hours in the timetable, and ample opportunity after school, are dedicated to encouraging children to explore a wide range of creative pursuits. Each pupil is allowed to select one or more of his/her interest on music, drama, dance, painting, pottery, literary and scientific interest. The pleasures in doing and the satisfaction of achievement not only tap students creativity and originality, but also encourage their concentration, patience, commitment and teamwork. In so many of these activities, the performance on stage or the painting hung on the wall is only the final product, the tip of the creative iceberg hinting at the level of endeavour that went into its creation. Regular sessions of drama and the hours of rehearsal help a child understand his/her responses to different situations, rather than necessarily making an actor of him/her. Similarly, painting will help him/her learn to observe different forms and shades of colour, rather than producing a great artist. Specialist teachers for these subjects, working in the areas designed for their activities, ensure that the pleasures and rewards of creative work complement academic study. The non-sporting activities offered by the School include pottery, art & craft, music & dance, and school newsletter and magazine projects, scrabble, speech and drama, theatre, debating, quizzing, film club, Science Club and Nature Club. Young Explorers' Fairs at the lower primary level, Interest Fairs at the upper primary level and Science Fairs at the secondary school level will be held annually. The Interest Fairs and Young Explorers' Fairs shall be based on the premise that not all kids love Science but all kids love something! These fairs encourage students to develop deep into concepts that arouse their curiosity. It helps participants an opportunity to investigate their preferred areas and share them with the school community. Every Interest Fair and Young Explorers' Fair is a learning experience for both the students and the teachers involved. Science Fairs give students an opportunity to individually investigate a scientific problem. Students complete individual or team projects in which they are required to formulate a question, research a topic, design an experiment, collect and analyze data, and form a conclusion based on their work. These projects help students learn the scientific method by actually going through almost the same process that scientists use. Students also learn how to sequence data into an attractive display and how to make a clear and effective oral presentation of their work. 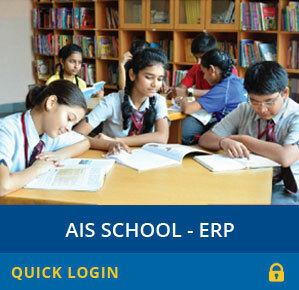 The Integration Programme will be conducted at the School for students learning. Some of the big ideas that students will work on includes natural resources, measurement, food, water, movement, climate, sound, myths and legends, colours, deserts, evolution and light. They will link each of these themes to the various subjects of their study and will show how each and every subject explores that theme in some way or other. The projects worked on by students on the selected theme will culminate in an event where parents will be invited to share their children's learning at a special performance and display, manned by the children. The Integration Programme also serves as an excellent opportunity for students to work in teams and appreciate the dynamics and benefits of working together.